In spite of recent GM plant closings and anxiety over steel tariffs, more than 304,000 jobs were added to the U.S. economy last January and hourly earnings have increased by over three percent from last year. American spending is also on the rise, including the demand for high-end kitchens, modern bathrooms, and luxury automobiles, especially SUVS. All of these luxuries require metal formed parts that please in both form and function. But without cost-effective metal part manufacturing, home and auto OEMs would be unable to reap the profits of the growing consumer demand. Fortunately, advanced metal forming techniques like hydroforming and raw extrusion enhancements can deliver a lavish look without breaking a production budget. Advanced metal finishing and hydroforming can transform inexpensive, light-weight aluminum raw extrusions into highly aesthetic, superior class A surface parts for luxury automobiles. From hydroformed, custom visor arm tubes to anodized, plated SUV luggage racks, advanced metal forming techniques are delivering a high level of finishing and forming to automotive OEM designers. Hydroforming’s high strength-to-weight ratio produces high dimensional stability in fewer operations than traditional stamping or welding, so it’s the cost-effective choice for kitchen OEMs to produce flexible, aesthetically-pleasing designs with class A finishes. From refrigerator shelving trim to cabinet and drawer handles, this advanced metal forming produces flexible design options such as radius sweeps, cross-sectional shape transitions from round to elliptical, multi-sided cross sections, and variable expansions of diameters. 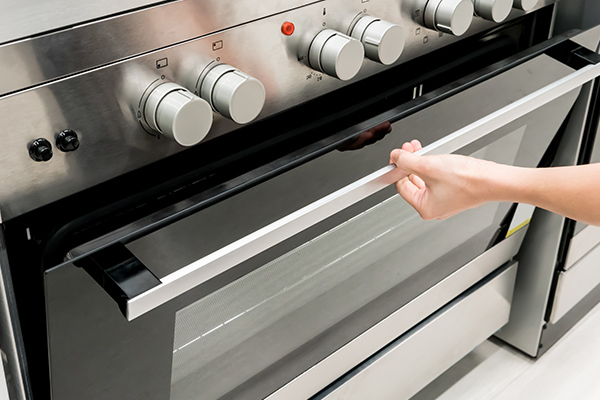 And when OEM designers combine hydroforming with advanced finishing techniques such as knurling, brushing, and tinted clear coating, they can provide kitchen consumers with an elegant and luxurious look to their premium, kitchen appliances. Additionally, hydroforming virtually eliminates value-draining flaws associated with traditional metal forming methods, such as burrs, scuffs, and stretch lines. Bathroom metal parts can now be produced without springback, with less waste, and with a wide range of metals in almost any desired shape. At Mills Products, we specialize in thin-wall, tubular hydroforming, which is often half as expensive to produce than matched die tooling. This advanced metal forming technique produces the complex shapes associated with high-end metal designs, including large radius sweeps and multi-sided cross sections. Want to learn more how Mills uses hydroforming and other advanced metal forming innovations to help OEMs achieve highly aesthetic, superior parts? Contact us today.